Learning through failure in Magic: the Gathering. In mid-December of 2017, Wizards of the Coast announced the Challenger Deck series, an upcoming “on-ramp to Standard” designed to allow players an opportunity to play Standard at the local level without any other investment. 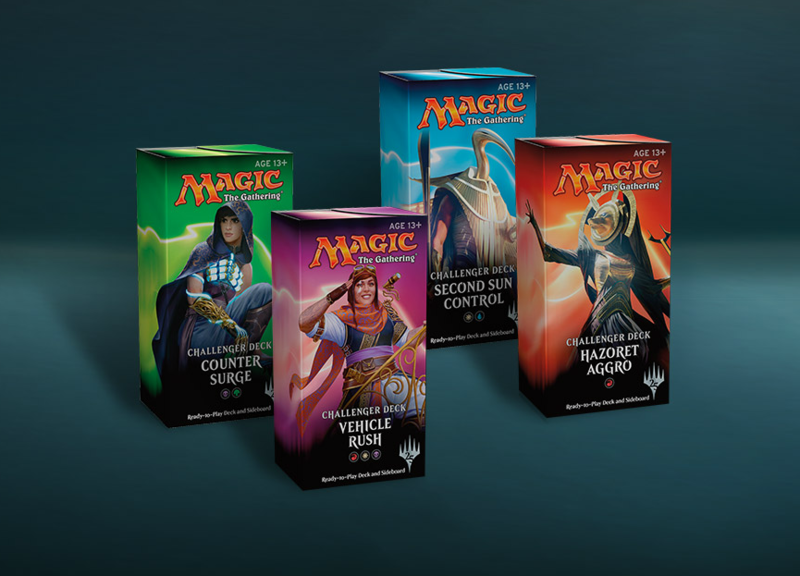 Players new to Standard—or Magic: the Gathering in general—can purchase a Challenger Deck for the MSRP of $29.99 and start playing in Friday Night Magic or other events right away. Each Challenger Deck includes a complete Standard-legal 60-card deck with 15-card sideboard and spindown life counter die. Much like the incredibly popular Commander product line, Challenger Decks are pitched as an effortless way to start playing without the hassle of assembling singles or spending time building a deck, both of which are often hurdles to new players. The four available decks are Hazoret Aggro (mono-red), Vehicle Rush (red-white-black), Second Sun Control (white-blue) and Counter Surge (black-green). Upon initial announcement, some players were skeptical about the potential quality of the decks when Wizards of the Coast stated that each deck would include at least two mythic rares, but it appears the Play Design team held little back when designing these decks. 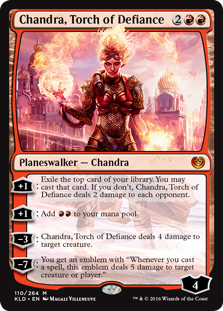 Hazoret Aggro features Chandra, Torch of Defiance and the deck’s namesake Hazoret the Fervent, both of which currently sit at over $20 a piece. The green-black Counter Surge deck includes three copies of mythic rare Verdurous Gearhulk, and Vehicle Rush features a playset of Heart of Kiran and a copy of Skysovereign, Consul Flagship for a total of five mythics. As of the time of publishing, assembling these Standard-legal Challenger Decks would cost approximately $80-100 a piece. 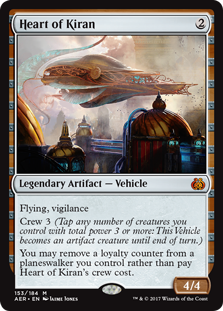 Of course, prices will decline once these decks are opened, but it is encouraging to see that Wizards has chosen to model these decks after the Commander product, which has long offered an unbeatable price and convenience. Challenger Decks will be available at your local game store starting April 6th, 2018 with a $29.99 MSRP in English or Japanese, depending on your region. Cards printed in these preconstructed decks will feature their current Standard-printed expansion symbol. To see the full deck lists direct from the source, check out the official Challenger Decks Lists feature here. The video below details more about the contents of each product package. Sign-up now for The Discard list!